Nathan Phillips, was born in 1859 in Salant in the North West corner of Lithuania, not far from the border with Latvia, and a little inland from the Baltic Sea and north of Memel. From the age of three until he was eighteen he attended Yeshiva. He had two brothers, Benjamin the elder, and Joseph the younger. 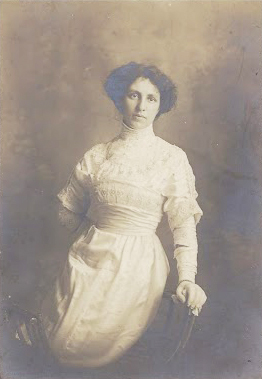 In about 1882 he married Jane Sheva Judelman who was born in 1857. She came from the small town of Skudi, north of Salant and almost on the Latvian border. 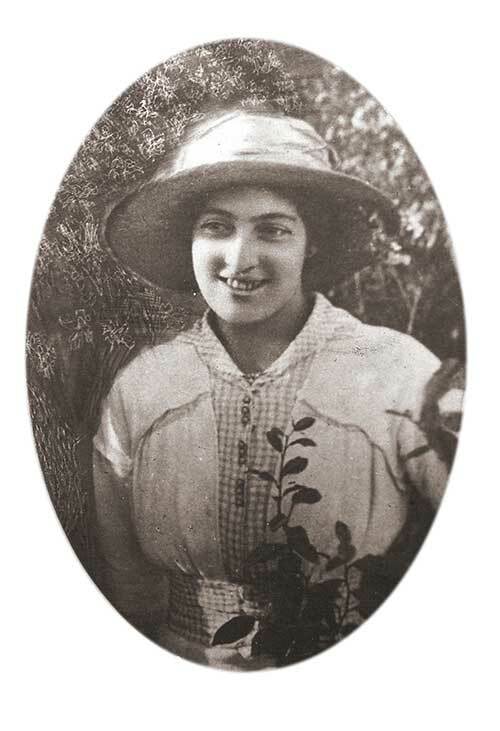 She was the daughter of Emanuel and Rusa Judelman. The Judelman Family were quite prosperous and had a leather shop where the uppers for shoes were sold. Shoe making involved many people in the town of Skudi which numbered five thousand. Rusa Judelman’s mother came from an influential family from a Russian point of view and some of the brothers had special privileges which were very hard to come by in those times. They were all fine Hebrew scholars. 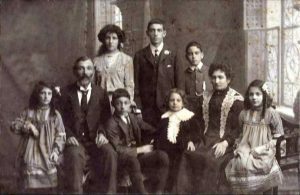 Rusa’s mother and mother-in-law always supplied a challah and fish to those less well off on Erev Shabbat. 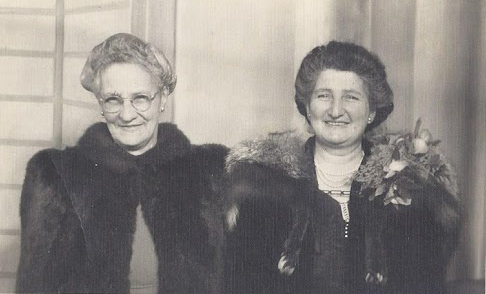 Before leaving Lithuania, Nathan and Jane had three children. 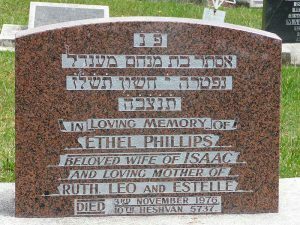 The first, Judah was born in 1883 and died aged eleven months, following a fall from a table while under the care of the maid when Jane was out. The second, Annie, was born on 21st June 1885 and lived the longest of all the eight children, dying in March 1968 aged 83. Joseph was next, born on 23rd December 1886. Annie was three years and Joseph eighteen months when they left Lithuania in 1888. 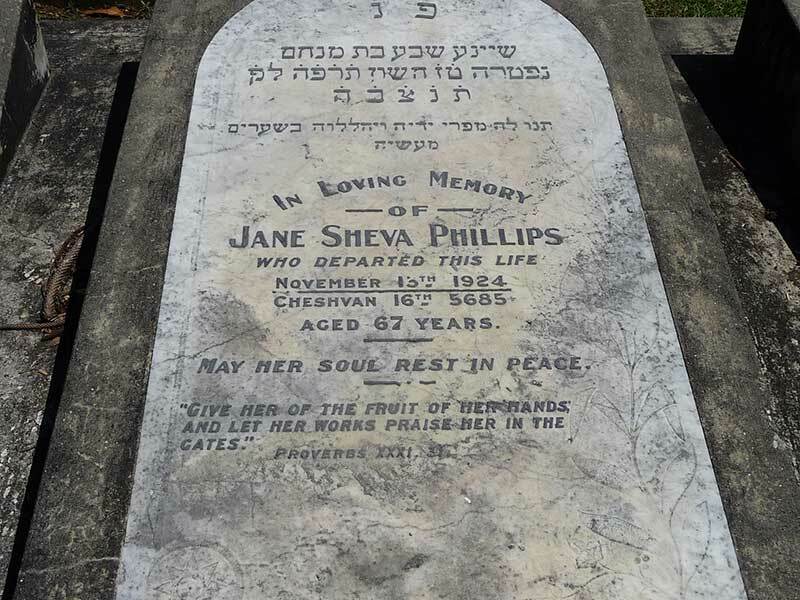 Jane Sheva was, through her father, a direct descendant of the Vilna Gaon – Elijah Ben Solomon Zalman (1720-1797) and through him to Moses Rivkes Ben Naphtali Hirsch who died in 1672 and was a famous Lithuanian Talmudist, so I can claim an illustrious ancestry. Unfortunately I do not remember, Jane Sheva as she died aged 67 years when I was only 14 months old. Nathan Phillips left Lithuania in about January 1887 to follow his younger brother Joseph who had gone to Sunderland, England when he was aged seventeen to avoid having to go into the Russian Army. I strongly suspect that another precipitating factor was the wave of anti-Semitism which was particularly bad at that time. Certainly the Cossacks raided their home and stole their silver Shabbat candlesticks and probably other items of value. I now possess four brass Shabbat candlesticks which replaced them and which they brought to New Zealand. After Sunderland, Nathan and Joseph went to London and left for Melbourne in 1887. Nathan hawked soft goods and Joseph sold jewelry. Nathan told me that he remembered Sidney Baevski, later Sidney Myer, who started Myer of Melbourne, hawking his wheelbarrow at the time. As soon as he could, Nathan wrote to Jane Sheva to join him in Melbourne. Great Grandmother Judelman thought the family would be brought up as heathens, but Jane Sheba was firm, and determined to join her husband. 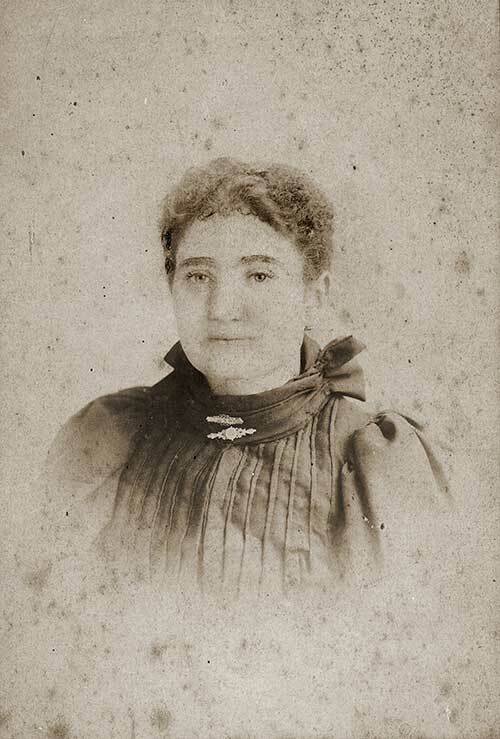 She left with Annie and Joseph in 1888, together with Benjamin, Nathan’s brother. 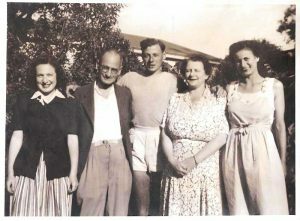 They arrived at Port Melbourne on Shabbat and for the only time in her life my grandmother rode on Shabbat. Benjamin subsequently migrated to Johannesburg where he established a large family, of whom his grandson Julian Phillips who is senior lecturer in Law at Melbourne University, and his wife Norma are good friends of ours. 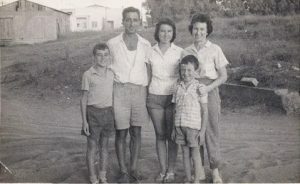 They currently live in Kew, a suburb of Melbourne, having emigrated from South Africa in 1962. 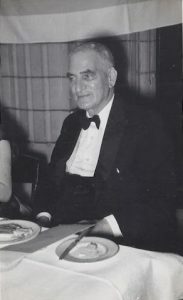 Joseph Phillips settled in Melbourne, established a jewelry business in Chapel Street, Prahran and married Augusta Polack. They had four children of whom Linda, the eldest, now in her nineties and is the only one currently still alive and living in Melbourne. She was a talented pianist and musician and was, for many years, music critic for the “The Sun” newspaper and a judge at many of the music and aria singing competitions. She was awarded the O.B.E. for this work. Albert, the next child of Joseph and Augusta, became a Pyschiatrist and married a Viennese doctor, Edith Deutsch. Their sons Jonathan and Neil are both Psychiatrists and live in Sydney. Leo, the third child, was successful in the building industry and married three times. 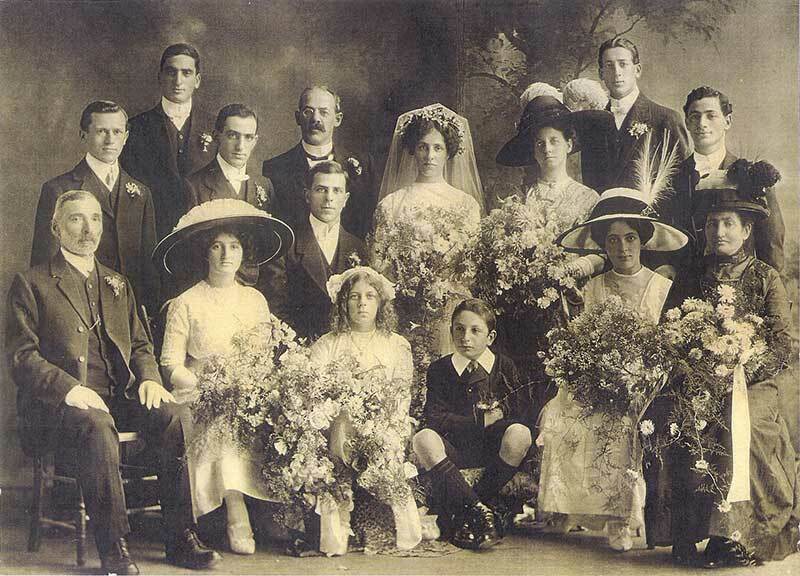 Lesley, the youngest, remained a bachelor all his life. He was keenly interested in swimming and for many years the Secretary and Manager of Powerhouse in Albert Park. After leaving Lithuania, Nathan and his two brothers changed their name from Fivovsovitch, meaning “a whistler”, to Phillips. 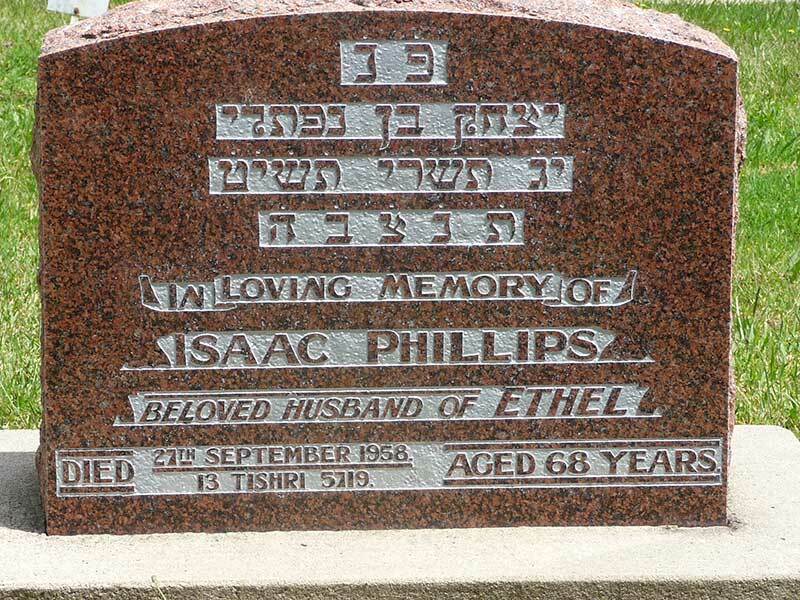 Isaac was born on 19th October 1889, the first of several children born in Melbourne. 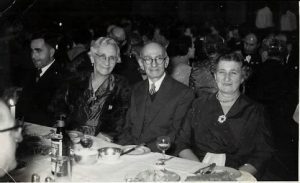 He was followed by Louis born on 8th November 1890, Ettie born on 1st August 1892 and Miriam born on 27th April 1893. Unfortunately Nathan suffered a loss due to a Maritime Strike and in 1894 left for Auckland, New Zealand on the ‘Wairarapa’ which was sunk shortly afterwards on the New Zealand coast. Nathan started traveling in the mining districts of Waihi, Karangahake and Coromandel where gold mines were flourishing. He did very well and became very popular with the miners for his honesty and straight dealing. Jane Sheba and the children rejoined Nathan in Auckland on 28th December 1896 after a parting of two and a half years. Jane’s departure was delayed for the need of an operation. Nathan continued to travel for a while and then had a shop in Hobson Street, Auckland. 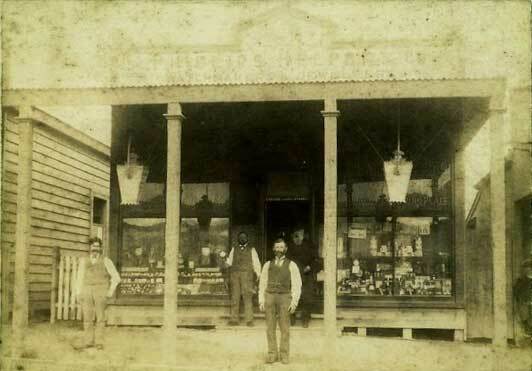 The family then went to live in Waihi where they had a Jewelry and Fancy Goods shop. 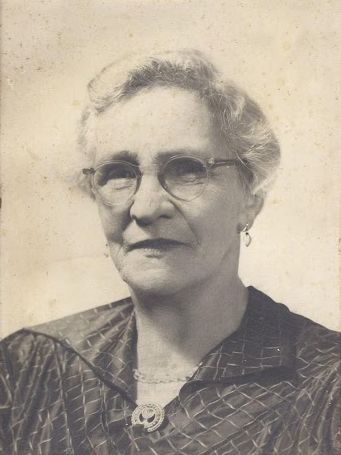 Issie, the youngest, was born in October 1899 at the onset of the Boer War. 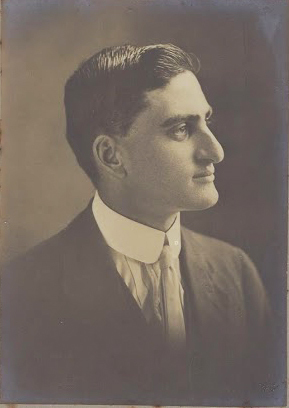 He was a very bright student and went through Auckland Grammar School together with Professor Arthur Veale’s father and Douglas Robb (later Sir Douglas) and together with them is recorded on the honour board as winning a University Scholarship. Issie died on 9th November 1918 aged nineteen from influenza as part of the pandemic that swept the world at the end of the 1st World War. Ettie had died earlier on 5th July 1915, aged 23, from bacterial meningitis during an epidemic. 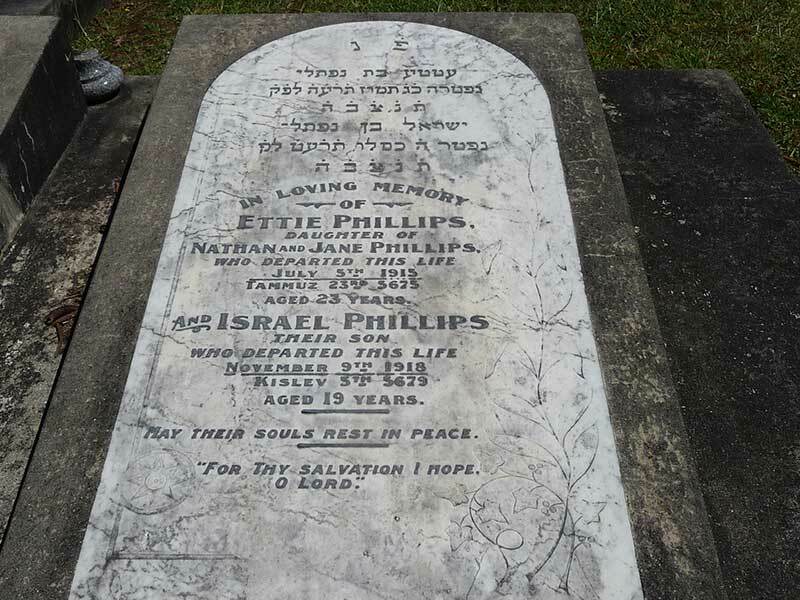 The Phillips family left Waihi and returned to Auckland about the turn of the century. They established a family home at 27 Vermont Street, Ponsonby, and this they occupied until the death of Miriam on 27th July 1965 except for a period when they rented the house out and lived in Masons Avenue, Herne Bay, two houses from the corner of Argyle Street. Nathan Phillips was of medium height, slim build and had a reasonably good head of white hair and a white beard. He had a patient, quiet manner and was a strictly religious man, following his earlier Yeshiva teaching. Every Shabbat afternoon he would sit on the verandah of his home and read the Torah. Shabbat and all the Jewish festivals were strictly observed and he kept a Kosher home. After Jane Sheva died the home was run by his daughter Miriam who always presented a beautiful table on Shabbat and on the Jewish festivals. The Seder service was always a joy and I never experienced a more beautiful service than the ones conducted by Nathan Phillips. Friends and visitors from overseas were always in the Phillips home. There was a great love of books which filled every nook and cranny in the house including a set of the Jewish Encyclopedia bequeathed to them by Rabbi Goldstein. In the early 1930’s Joseph built, largely with his own hands, a holiday cottage at Ostend Waiheke Island and as children we would spend some of our summer holidays there at times with members of the Salas family. Behind the cottage was a steep grassy hill which we could slide down on a wooden toboggan made by Joe. There was also a hammock on the verandah which was our favourite place. Nathan was a roll-your-own cigarette smoker and we were enlisted to roll cigarettes for him. 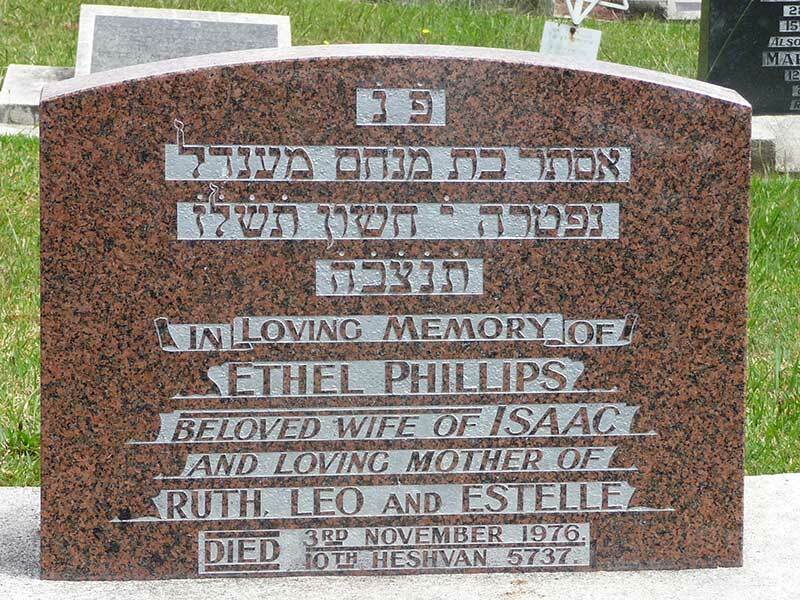 Annie Phillips, the eldest daughter, married Norman Finkelstein who came from London. Norman was an Insurance Agent with MLC Insurance Co. They lived in Clifton Road, Herne Bay, opposite our own house at No. 23. They had two children, of whom the first Joseph won a University Scholarship and M.Sc. and became a Meteorologist and gave War Service in the Pacific Islands. 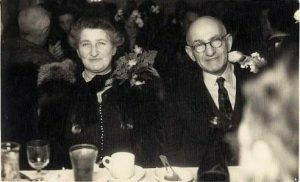 He married Elsa Jacobs from Dunedin and they had two children, a son Rex and a daughter Alma. 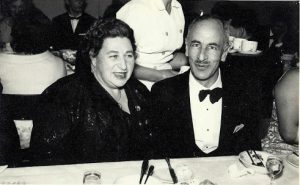 Joe remarried in later life Lilli Bettelheim, nee Spira in Wellington, New Zealand where he lived. They moved to Melbourne about 1989. 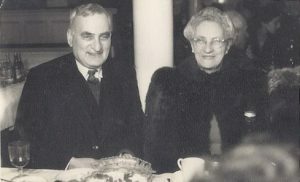 Athol Finkelstein, the second son, married Olga Manning and was for a time in business in Auckland with his brother-in-law Leo Manning who was at one time the Mayor of Onehunga. Athol immigrated with Olga and their children to Israel about 1958. They had three children, Susan, Michael and Danny, now grown up and married with children. They all live in Israel and Athol is a Bridge teacher. 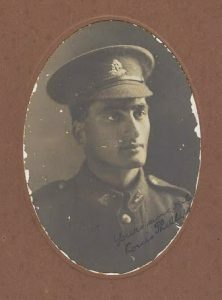 Norman died when he was relatively young at Auckland Hospital following a late diagnosis of pernicious anemia. 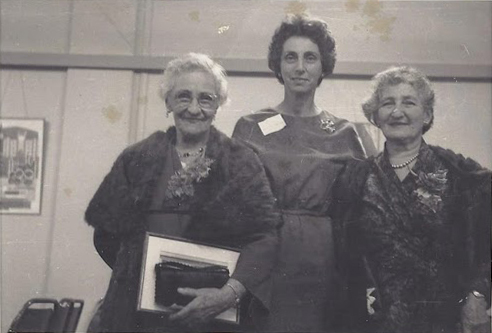 Annie was an intelligent, capable woman and always involved in Jewish Community affairs and like her sister Miriam, was a lifelong member of WIZO and the Chevra Kadisha. Late in life she went to live in ‘Deckston Home’ in Lower Hutt, New Zealand and died in March 1968 aged 83 following the perforation of a duodenal ulcer. 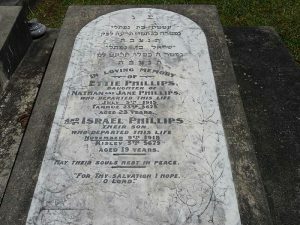 The third child, Joseph Phillips, initially helped in the running of the family Jewelry business and then qualified as an accountant and worked most of his life for the firm of Lichtenstein and Paykel (the relatives on my mother’s side) who were exporters of wool, meat, tallow, hides and kauri gum. The offices were on the 5th floor of Paykel’s building at the lower end of Anzac Avenue. 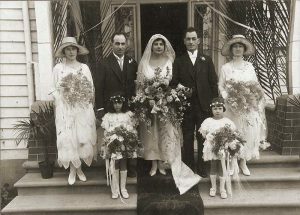 He never married and lived all his life at Vermont Street with Miriam and Louis. 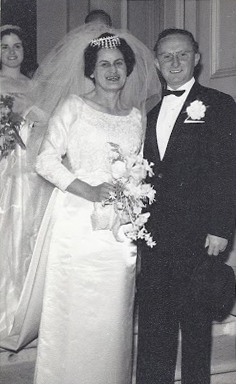 He was a Foundation Member of the Hebrew Aid Society which made small loans to those in need. One of his hobbies was cabinet making and he built a beautiful bookcase for my Barmitzvah. Medically he had a condition of cardio spasm. He was always the stabilizing, practical member of the household. He died aged 75 years. Louis, the fifth child, qualified as a solicitor and was in private practice on his own in the Colonial Mutual Building in Queen Street. 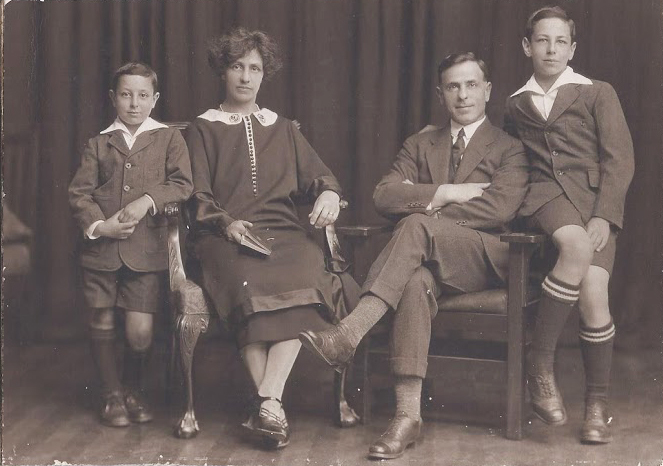 He acted throughout his career as Honorary Solicitor to the Auckland Hebrew Congregation. He served in France in the 1st World War in Signals and was wounded with shrapnel in his back, some of which was never removed. He was a keen New Zealand and Jewish Historian and a fervent Zionist all his life. He attended one of the early Zionist Conferences in Basle in Switzerland just after the 1st World War and remained a stalwart of Zionism in Auckland all his life. 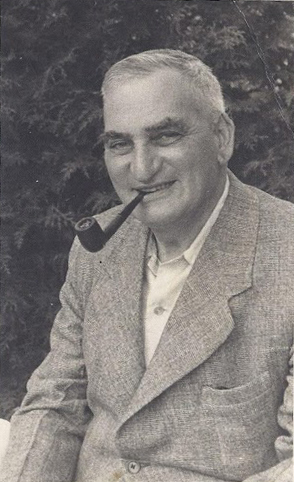 Perhaps his greatest contribution was his untiring zeal and devotion in obtaining permits to migrate to New Zealand for many refugees of Europe displaced by Hitler’s Holocaust in the 2nd World War. He knew many of the heads of the then Labour Government in Wellington, some on first name terms as they had been old 1st World War mates. He would ring them in Wellington and badger them until he obtained entry permits for these Jewish refugees to come to New Zealand. He helped enormously many of these fine immigrants who came to settle in New Zealand before, during and after the 2nd World War. Not only that but after their arrival he gave up much of his time to help them professionally in his Law practice, often with little or no recompense. Money was of little concern to him. He was truly a great humanitarian and helper of his fellow Jew. 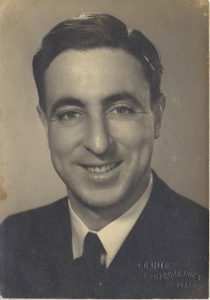 He enjoyed the friendship and confidence of Peter Fraser P.M. and it was in no small way due to his influence that New Zealand voted in favour of Israel’s independence in 1948. He was a lovable man with a very good sense of humour. On visiting his office as a schoolboy, he would always proudly introduce me as his nephew to his client, usher them out to the waiting room and chat to me for ages as if his work was of secondary importance. He was also one of the most untidy persons. Books, papers and legal documents spilled over his desk, bookcases and chairs. It was a wonder to me how he ever found a thing. He suffered from recurrent gout and late in life mild diabetes. He died aged 75 the same day that my daughter Lisa was born. I still remember the smile on his face when I told him of this. He was one of the few persons whose funeral took place from the Auckland Synagogue where a huge crowd both Jewish and non-Jewish came to pay him homage. 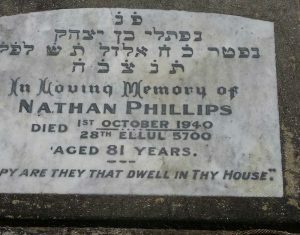 The Louis Phillips Memorial Library at the Synagogue was named in his honour. As someone said in his obituary in ‘Hashofar’ October 1964, “He was a Tzadik, a righteous man.” He was one of my favorite uncles. 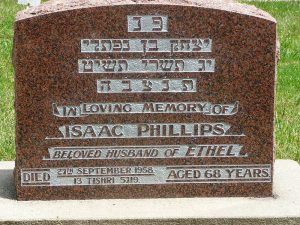 My father, Isaac, was born in Melbourne on 19th October 1889, migrating in December 1896 at the age of 6 years to Auckland with his mother, brothers and sisters to rejoin Nathan, his father. He went to school in Auckland and Waihi and later qualified as a Pharmaceutical Chemist and had a pharmacy for a time in Frankton. He served in France in the 1st World War in Field Ambulance. He was invalided out to Brighton, England having been badly gassed with mustard gas and was blinded for a month. During the war my mother Ethel Paykel corresponded with him regularly and they married on 20th October 1920. He bought an old established Pharmacy from a Mr. Gilbert in 1919 at 2 Great North Road on the corner of Newton Road. This Pharmacy had originally be in Queen Street but Mr. Gilbert had moved to this area because of the high rents in Queen Street. Isaac ran this Pharmacy for several years with the aid of a manager until it was sold. The shop was painted in 1980 by the artist, Peter Siddell but was demolished soon after. It was a large old-fashioned Pharmacy with huge bottles of green and red liquid and beautiful bottles covered with labels in Latin. Most medicines, ointments, suppositories and peccaries were individually made and all prescriptions were faithfully recorded in copperplate hand writing in a large prescription book. My father always had an apprentice in training. Isaac had several of his own proprietary preparations including “Melucca”, a cough medicine in great demand which contained honey and codeine. He also had “Dr. Parker’s Hair Restorer” which contained cantharides (Spanish Fly) and sulphur. Originally the Pharmacy was open every Friday night until 9pm and often during the weekends for urgent medicines. Eventually my father and some other chemists in the area joined together to open an all-night or ‘Urgent Pharmacy’, the first of which was in Newton Road at the Symonds Street end. Later still a chain of Urgent Pharmacies was opened in such places as Royal Oak, Avondale and the North Shore so that chemists could shut on Friday nights and weekends. My father was largely instrumental in obtaining these sites. At the time of my father’s death he was Chairman of Directors of the Urgent Pharmacies. During the war there was a shortage of cosmetics and my father bought out a bankrupt business which made cosmetics and restarted the business, Cosmetix (NZ) Ltd., in the large basement of his chemist shop. He built up the business and made such things as Dazzle Hair Cream, scented bath salts, bay rum and even toothpaste. As the business grew he moved it into larger premises in Brown Street, Ponsonby, eventually selling it following an illness, to an ex-apprentice, Aubrey Webster. During the depression days of the late 1920’s and early 1930’s he continued to supply medicines to many of his poor customers in the Ponsonby and Newton area, even though they couldn’t pay him. He was also father confessor and counselor to many of his customers with their personal problems and often spent hours talking to them and advising them in his office at no profit to himself. After the depression many of these people came to him for medicines or wrote for them to be sent. They came from all over Auckland, other parts of New Zealand and overseas and even Mrs. Christian from Pitcairn Island. At the age of 55, while I was at medical school in Dunedin, Isaac suffered a severe anterior myocardial infarct and was fortunate to survive. He returned to his beloved Pharmacy after nine months and resumed gardening and growing dahlias which he enjoyed immensely. 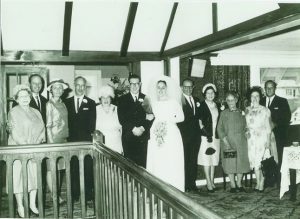 In his younger days he was a keen tennis and chess player and later enjoyed bridge which he played regularly with Ethel. Isaac was a mild mannered man of high principles and was a very skilled pharmacist, a heavy pipe smoker, content in himself and a very good family man. 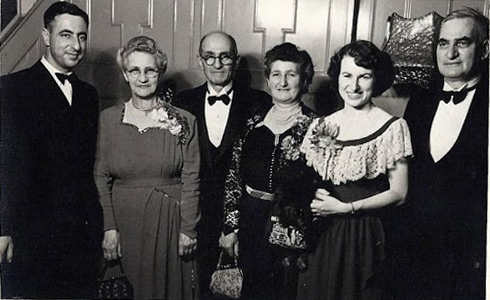 He was an honorary pharmacist to the Auckland Chevra Kadisha and one of the earliest members of the St. Johns’ Ambulance Brigade and one of the first to qualify for the St. Johns’ Ambulance Medal. He died following a second coronary thrombosis aged 68 years. His wife Ethel, nee Paykel, was born on 8 November 1893 in Milwaukee USA, coming to New Zealand with her parents when she was a few years old. She was the second daughter of Ida and Max Paykel who were one of the first families to meet Nathan and Jane Phillips on their arrival in Auckland. 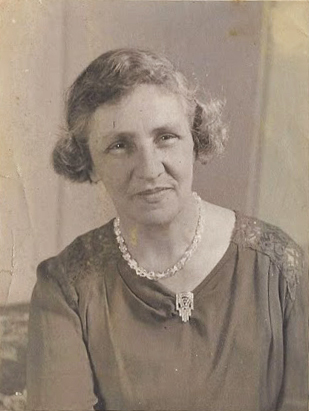 Ethel was educated at Auckland Girls’ Grammar School and subsequently studied music at the Auckland University. She was a competent violinist and played first fiddle in Colin Mustin’s Bohemian Orchestra. She married Isaac Phillips on 20th October 1920 and they lived first at 23 Clifton Road, Herne Bay and subsequently at 24 Argyle Street, Herne Bay. She was a lifelong WIZO member and held several executive posts. She was a keen bridge player all her life, playing socially and at the Lyceum Club until her eighties. Isaac and Ethel had three children, Mrs. Ruth Grotta, Dr. Leo Phillips and Mrs, Estelle Goldwater and four grandchildren, Leon Goldwater, Mrs. Peta Birnbaum, Dr. Nicole Phillips (Rich) and Mrs. Lisa Breckler. The later three now live in Melbourne. There are currently five great-grandchildren, David and Rachael Birnbaum, and Louise, Adam and Edward Goldwater. Much of the early Family History was detailed in a letter written in 1966 to the author by Annie Finkelstein when she was living at Deckston Home.